This event is hosted by AIDS Walk & Run San Diego. In its 30th year, AIDS Walk & Run San Diego remains the largest HIV/AIDS fundraiser in San Diego County. 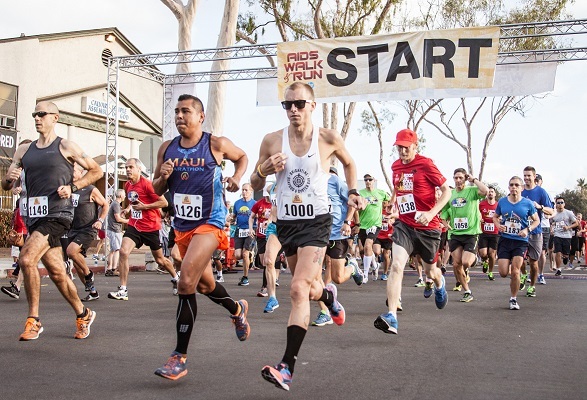 Funds raised for AIDS Walk & Run San Diego will support 14 local HIV service organizations and The Center’s HIV services and programs. There are currently more than 18,000 people living with HIV/AIDS in San Diego County. Your participation inspires those living with HIV and honors those we’ve lost to the disease. This event also raises HIV awareness while reducing the stigma — and that is more important than ever to our fight to end HIV.